There’s something about the beauty of rural PEI that makes you want to roll down the window and take the long way home. The wide open skies, rolling green fields, and miles of untouched natural beauty are sure to make any city slicker want to pack their bags and relocate to the countryside. Home to some of the most glorious vistas on the Island, here are a few of our favourite rural views that are sure to make the city dwellers swoon! Grazing cattle and colourful lupins… does it get any more PEI than this? 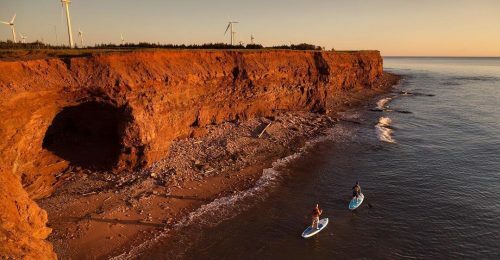 That red Island glow  Even PEI’s “dirt” is bursting with colour! 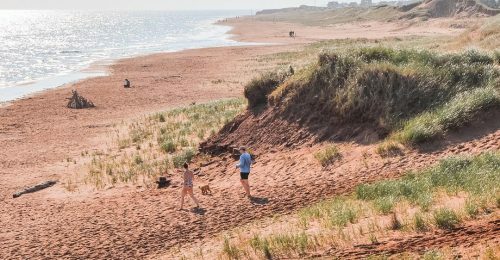 PEI wildflowers are the perfect accessory to breathtaking ocean vistas! Rolling green fields and glimmering blue ocean as far as the eye can see! Who needs roses when you have PEI lupins? Glittering green fields, crystal blue skies, red soil and golden canola. 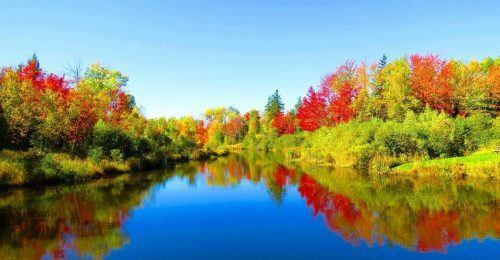 Rural PEI is made of all the colours of the rainbow! 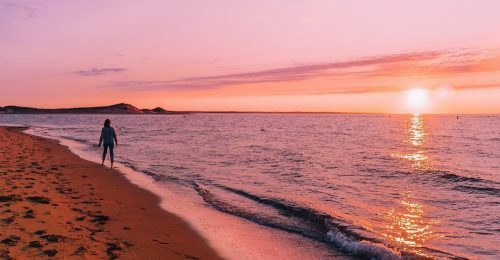 A Prince Edward Island sunset is nothing short of magical! 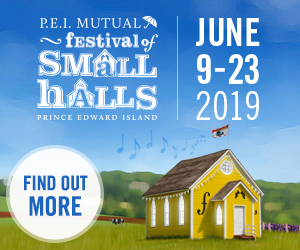 For more things to discover on Prince Edward Island, check out Hidden Gems You Can’t Miss, An Ode to PEI’s Natural Beauty, and PEI’s Must See Lighthouses.